World class marine biologists, environmental scientists, ornithologists, and modern day explorers are all part of our expedition team – highly experienced, synced to your needs and interests, and with safety always top of mind. More than a team, though, this is a tight knit family. Most of us voyage together year after year, all share a deep love for Antarctica, and all take immense pleasure in making your trip one you’ll never forget. Polar Latitudes is one of the few operators that require all operational staff to be certified as crew under the International Maritime Organization’s STCW standards. Furthermore, we are the first polar operator to adopt the Polar Tourism Guides Association (PTGA) guide qualification framework, a world first in training and certifying polar guides in the skills and experience required for our unique industry. Read more about why you should consider choosing PTGA accredited guides here. In BC, Canada, Hayley keeps in the company of Orca and Humpback whales, Grizzly and Black bears. She relishes in the Polar bear and Beluga whale capital of the world working as a guide in Churchill, Manitoba. Originally from the Kapiti Coast in New Zealand, she now calls Vancouver Island home. In her spare time, Hayley likes to take extended sea kayaking adventures around Vancouver Island and Haida Gwaii. She once attempted the world’s first solo sea kayak journey around South Georgia Island to help raise awareness for the Albatross, about which a book and documentary were made. 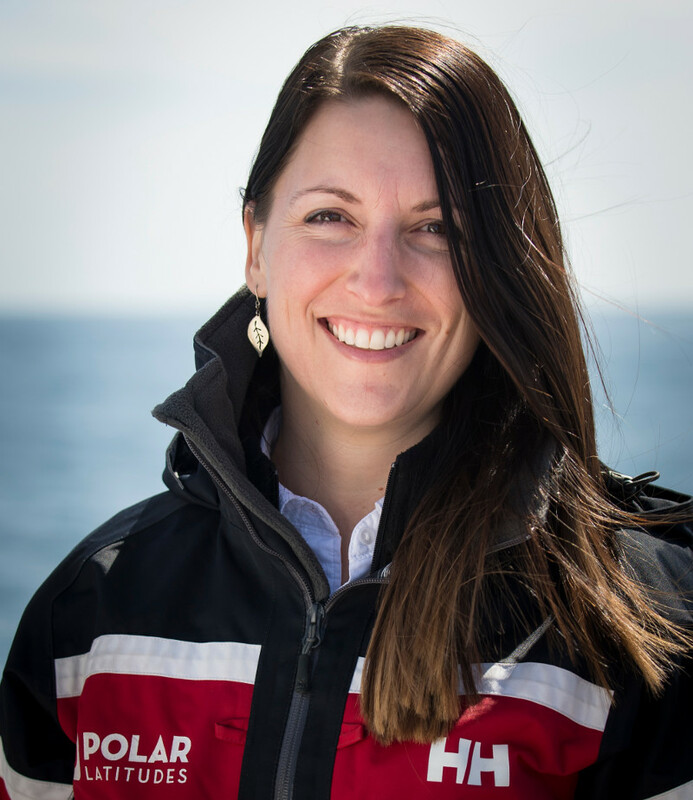 Hayley looks forward to sharing with you her passion, admiration and respect for this polar region. It will change you. Are you ready? 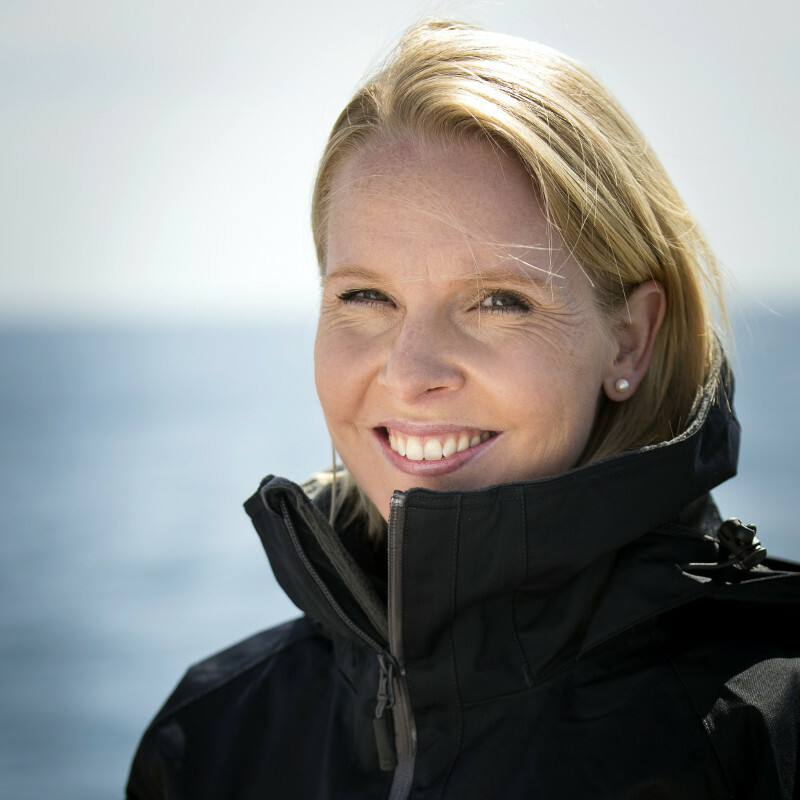 Hannah has a particular love of birdlife and marine mammals and has been sharing her thrill for the natural world working aboard Expedition Ships in remote regions since 1999. A zoology student at the University of Liverpool, England, Hannah changed direction after graduation and worked as a wildlife artist and mural painter in Africa for several years. On her return to the UK she gained a Masters in Natural History Illustration from the Royal College of Art in London. During her student years she spent her time doing practical conservation projects as a leader with British Trust for Conservation Volunteers. 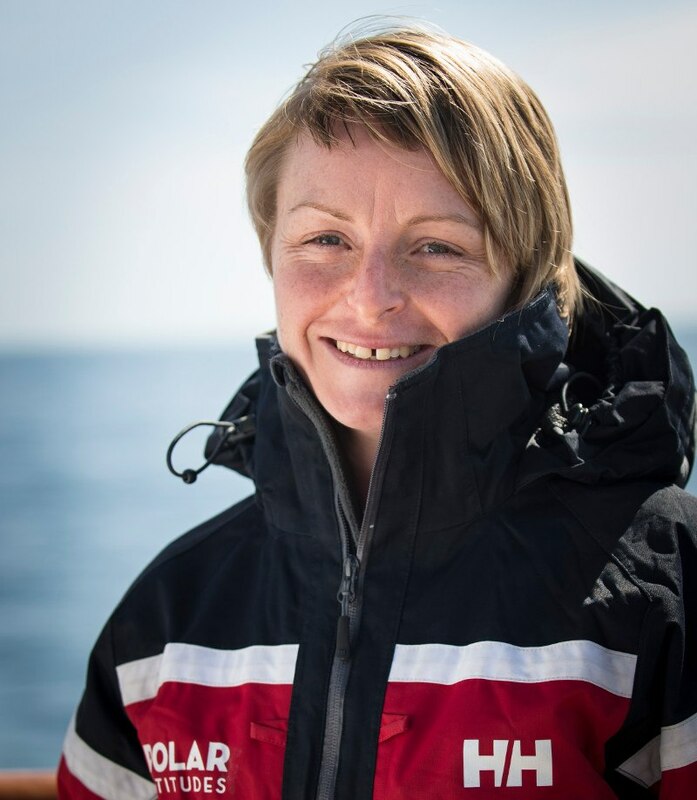 She is now able to divide her time between doing artwork from her studio in England and working as a wildlife guide, zodiac driver and expedition leader. She visits the Antarctic peninsula and South Georgia annually in the Austral summer and then heads north to cruise the shoreline of the UK, Norway and the Arctic, swapping penguin sightings for polar bears, and sketching, photographing and learning about the lives of the creatures she sees along the way. For the past few years he has been immersed in the polar world. He makes his annual migration between Antarctica and the Arctic, following the arctic terns around the world every year. Having done nearly 70 trips (and still counting) in the Polar Regions, he is always grateful to be discovering the last vast wildernesses left on this planet and is passionate to share the experience with you. He is enthusiastic about all sorts of wildlife, though is convinced that he has close relatives that are whales, and his third cousin happens to be in the auk family. When he’s not gallivanting near the poles, you will probably find him wandering the warmer climes of the planet (15 Celsius being plenty warm), seeking out more adventures and playing with light in photography. Born in Bariloche, North Argentinean Patagonia, Pablo was introduced to outdoors and tourism as a small child. 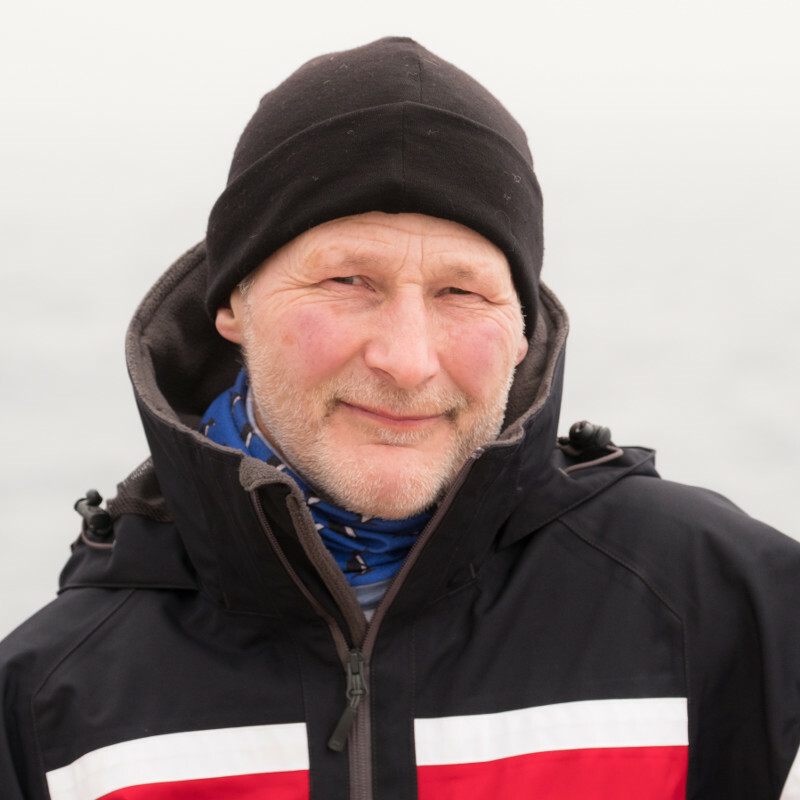 He moved to Ushuaia in 1996 and shortly after made his way into Expedition Cruising as an Assistant Expedition Leader. 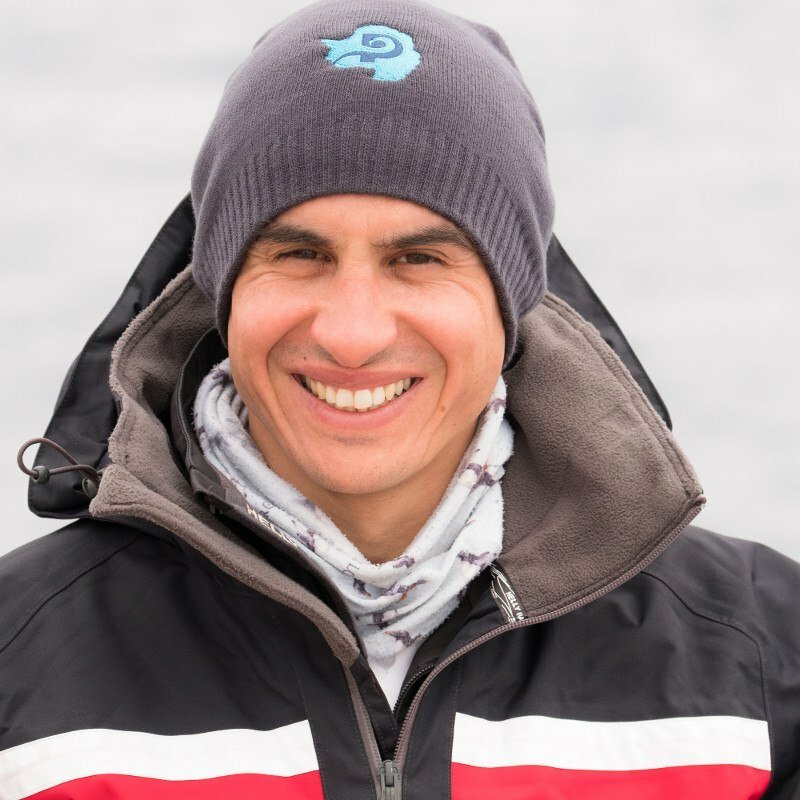 Pablo has done over 140 trips to the Antarctic Peninsula, South Georgia, Falklands, Ross Sea and other locations around the Southern Ocean, and has worn all the different hats: Zodiac Driver, Logistics, Camp Master, Lecturer, Expedition Leader, Assistant Expedition Leader, and Kayak Operations. In 2010 he organized and led the Four Desserts marathon on board the Antarctic Dream. He enjoys glacier hikes, snowshoeing, skiing, snowboarding, rock climbing and wakeboarding. After taking the last boat up on the hook, he likes to play the guitar and sing at the bar, and has many tales to tell about the explorers and history of this remote area. Her passion for the outdoors and mountains have taken her around the world personally and professionally for the past 30 years. Originally from the maritime province of Newfoundland, Maria has a degree in Geology from the University of Calgary, and is a member of the Association of Canadian Mountain Guides. Safety is top priority for Maria, and she has picked up many skills, qualifications and experiences from her professional outdoor background and personal endeavors. In 2012, she welcomed the opportunity to combine her guiding skills and geology background to begin working in the polar expedition industry as a guide and geology lecturer in Antarctica and the Arctic. She truly enjoys sharing her enthusiasm for the outdoors and her fascination with natural history. Heather’s adventurous spirit was born over three decades ago when her airline pilot father started bringing her along (often stowed away in the cockpit’s extra seat) to destinations far from her home back in small-town Canada. In college she took a degree in International Relations, which led to living overseas in 7 different countries as well as visiting 47 countries (so far) and all 7 continents. This is her fourth season as an expedition guide in Antarctica, but she’s been travelling as a passenger on expedition ships for over a decade, sailing to remote areas like the deep Amazon and the high Arctic. When not working as a polar guide, Heather runs two location-independent businesses from her laptop and can usually be found road-tripping somewhere off the beaten path. 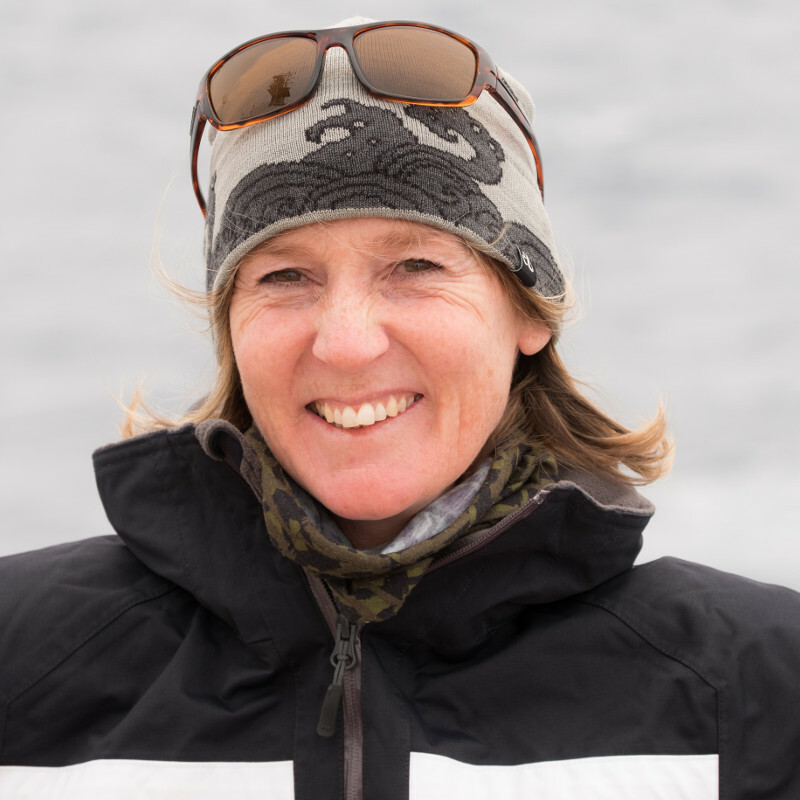 Now in her fifth Antarctic season, Mariela spends her winters in her home town of Ushuaia teaching alpine skiing and snowboarding, guiding snowmobile excursions, and leading snowshoeing and cross-country skiing adventures. In her spare time, she likes to sing, dance, and read about the earliest explorers to this land. Mariela is dedicated to ensuring that clients have the best combination of service and fun! Conny has been an outdoors person all of her life growing up at the feet of the German Alps. Having spent her childhood skiing and mountaineering in local regions it was the crucial adventures across the neighboring borders that indoctrinated her great love of travel. This deep passion led Conny abroad at the youthful age of 16 where she would complete her bachelor’s and master’s degrees in Business in the U.S. and Hong Kong respectively. From there, Conny has followed a successful career in Sales & Marketing within international luxury hotels, living and working in Asia, Australia and New Zealand. 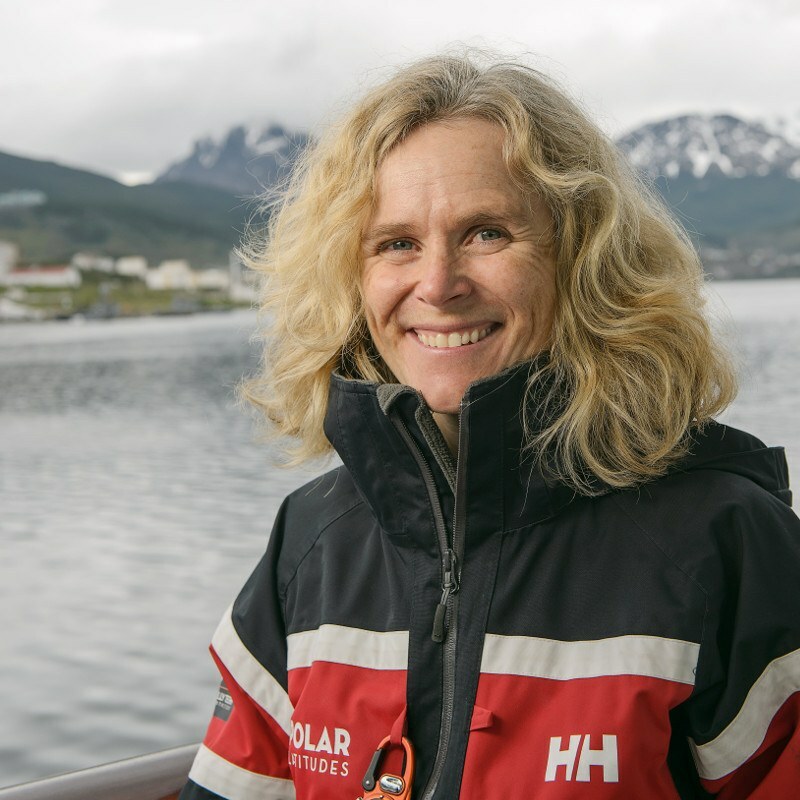 Conny’s enthusiasm and passion for Antarctica was born after embarking on her first expedition cruise, aboard our very own Hebridean Sky. Witnessing Antarctica’s breathtaking majesty and untouched beauty first-hand, as well as experiencing close encounters with Antarctica’s wildlife, changed her profoundly as a person – a change that has led her to seek a new career within this precious and humbling part of the world. With her bubbly personality, abundant energy and her infectious nature as a people-person she is looking forward to making every future passenger’s journey their “trip of a lifetime”. Dr. Dan studied medicine in New York City, completed residency in Portland, OR, and eventually settled in the greater Seattle area. He is an actively practicing emergency physician boarded in Emergency Medicine with many long years of emergency medicine experience. Should you require medical assistance during the voyage Dr Dan is there for you. He is also fluent in French and somewhat versed in Spanish. His major non-professional passion is digital photography and he is always willing to share his experience and knowledge. Over the last fifteen years, Seb has worked at the sharp end of maritime aviation with previous jobs spanning half the globe. The Royal Navy exposed him to some of the most inhospitable regions of the world. In 2009, Seb landed on the shores of South Georgia for the first time and stood before the grave of his personal hero: Sir Ernest Shackleton. In January 2013, he joined the ‘Shackleton Epic’ team, which became the first expedition in history to faithfully recreate Sir Ernest Shackleton’s small boat voyage across the Southern Ocean – with precisely the same equipment as Shackleton himself. From the clothing to the boat, the sextant, the reindeer skin blankets, and of course the starvation diet. When he is not onboard ship lecturing, or climbing a mountain, he can be found in Scotland with his wife and children sailing the world’s most faithful seaworthy replica of Shackleton’s lifeboat. The boat was built with the sole purpose of keeping the great polar explorers legacy alive though adventure sailing excursions. 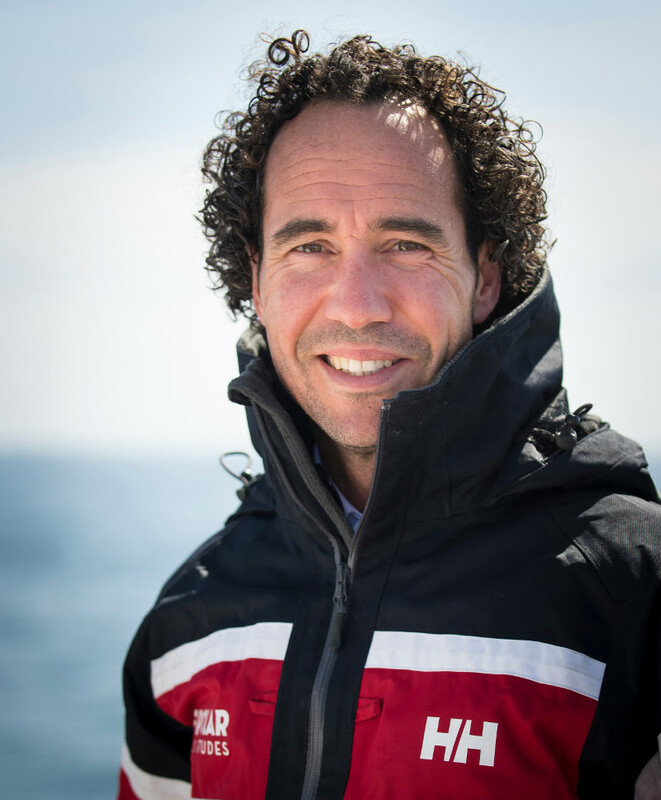 Seb is an accomplished aeronautical engineer, Fellow of the Royal Geographical Society, former GB Chapter Chair for The Explorers Club, joint recipient of the Royal Institute of Navigation Certificate of Achievement, and a joint Royal Yachting Association and Union Internationale Motonautique powerboat world record holder. Ever since he could crawl, Bob has been drawn to the natural world. 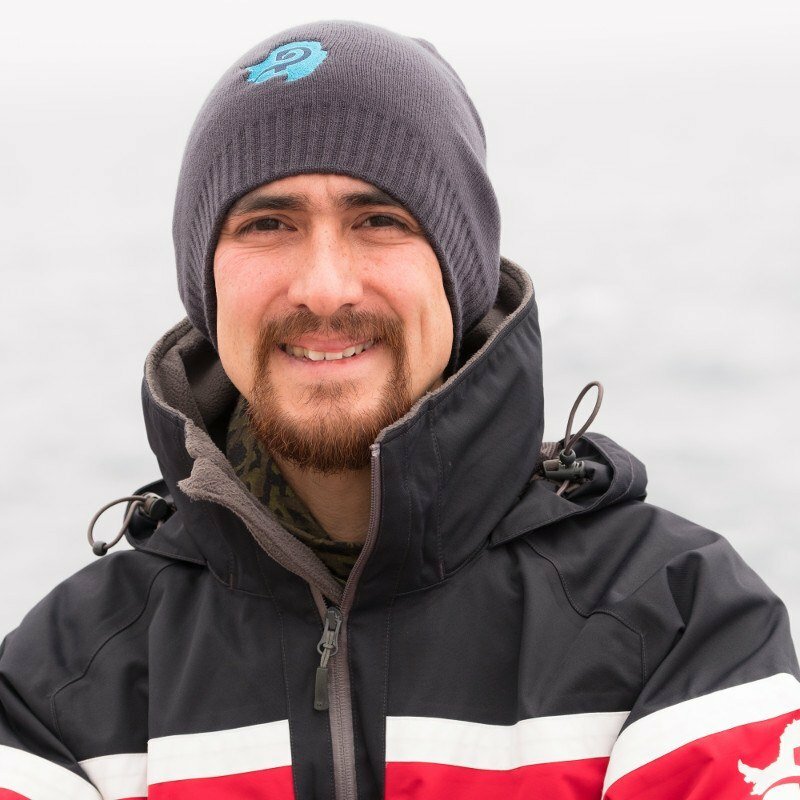 His passion for nature has led him to develop an evolving Citizen Science program, allowing guests on board to help scientists around the world learn how climate change is affecting the Antarctic Continent. Hailing from Chicago, and holding a degree in Forestry, Bob initially spent his summers as the Lead Wilderness Ranger on the north face of Mount Hood for the US Forest Service and his winters at McMurdo Station in Antarctica working for the US Antarctic Program. While there he helped with logistics at South Pole Station for scientists who were researching everything from the natural anti-freeze found in the fish populations, to drilling ice-core samples to determine historical climate fluctuations. 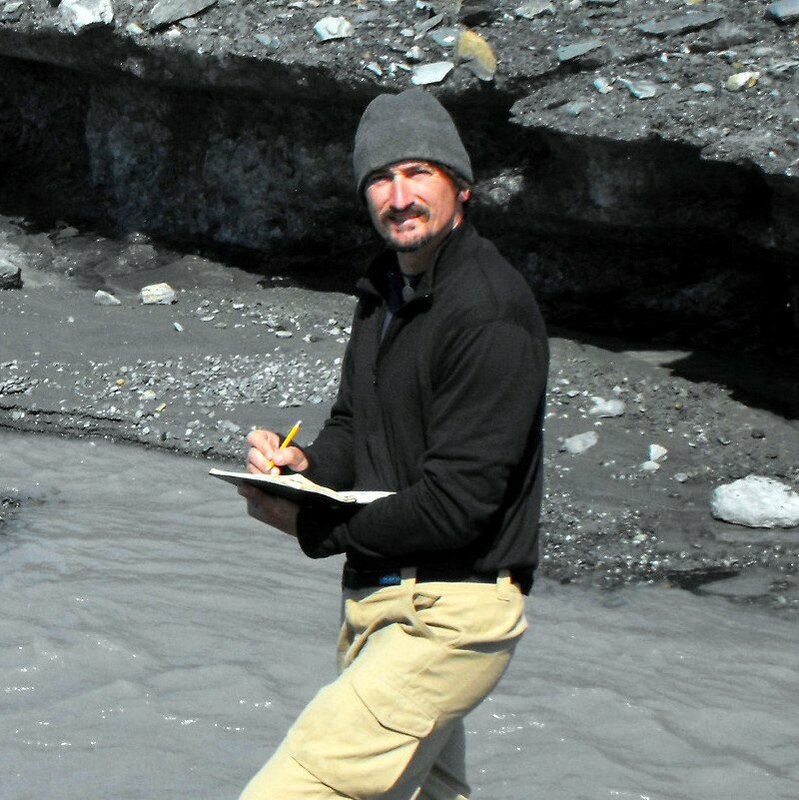 In 2004, Bob decided to share the experiences and knowledge he gained in his 4 seasons with the USAP by joining expedition life as a guide and interpreter within the realm of Glaciology and Geology. 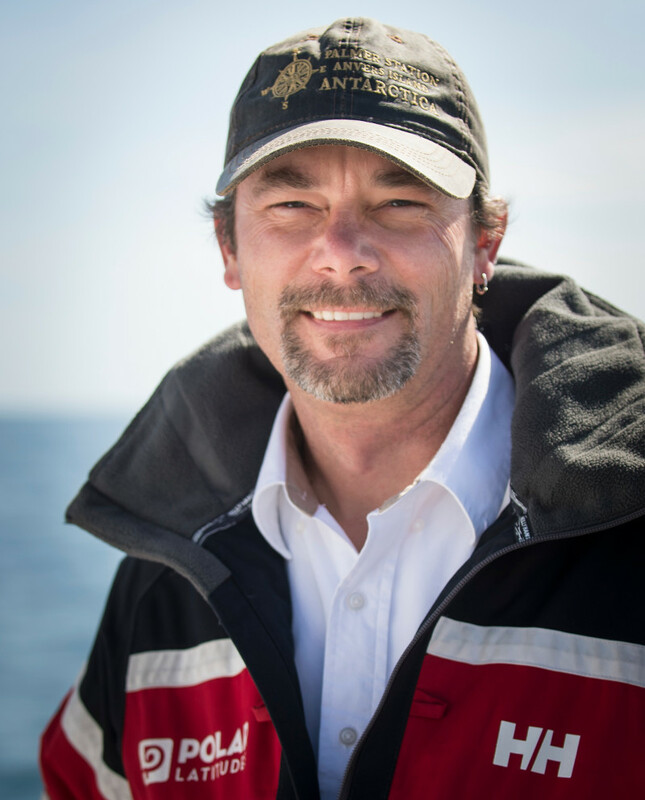 He’s been rolling through the Drake Passage and exploring the Antarctic Peninsula ever since. 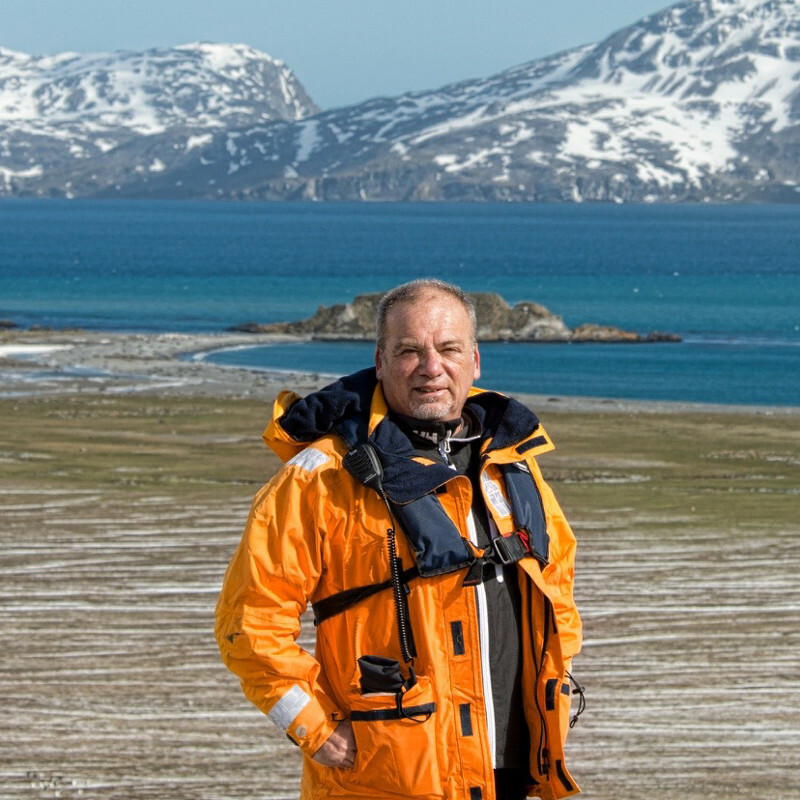 Bob is one of the few people who have managed to reach both the North and South Poles. When not in the Polar Regions, Bob continues exploring and resides in the Rocky Mountains near Aspen, Colorado spending his time hiking, fly fishing, camping and whitewater rafting. Born in Germany, Annette studied Marine Biology and obtained a Masters in Marine Conservation in New Zealand. There, she had the once-in-a-lifetime chance to visit Antarctica as part of a postgraduate certificate offered by the University in Christchurch. Camping at the base of Mount Erebus – the same region used as base camp by early explorers such as Scott and Shackleton – Annette caught the “polar bug”. 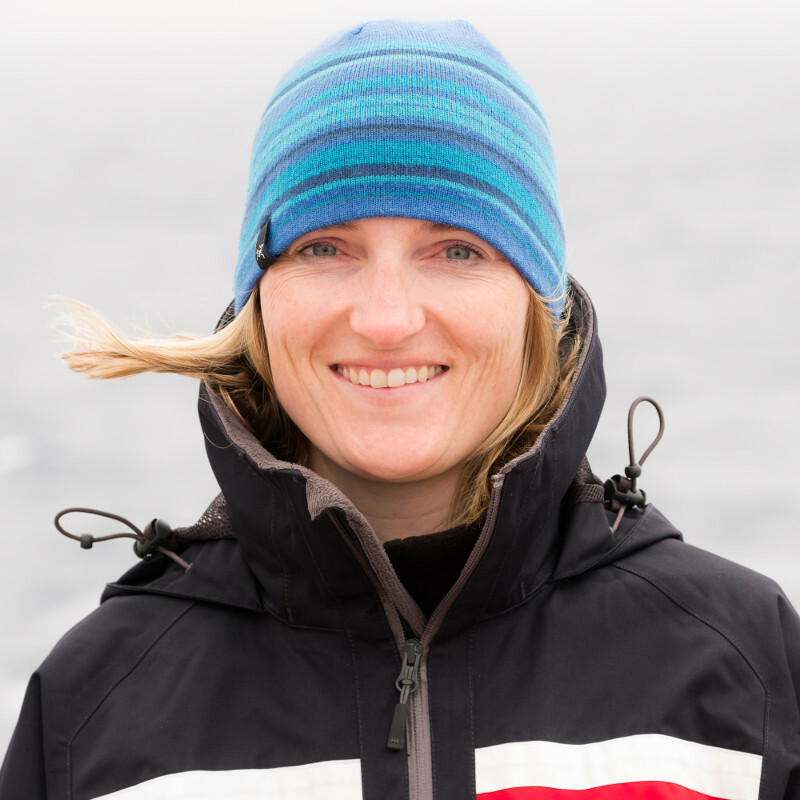 Returning from New Zealand, she conducted her PhD at the German Polar Research Institute. 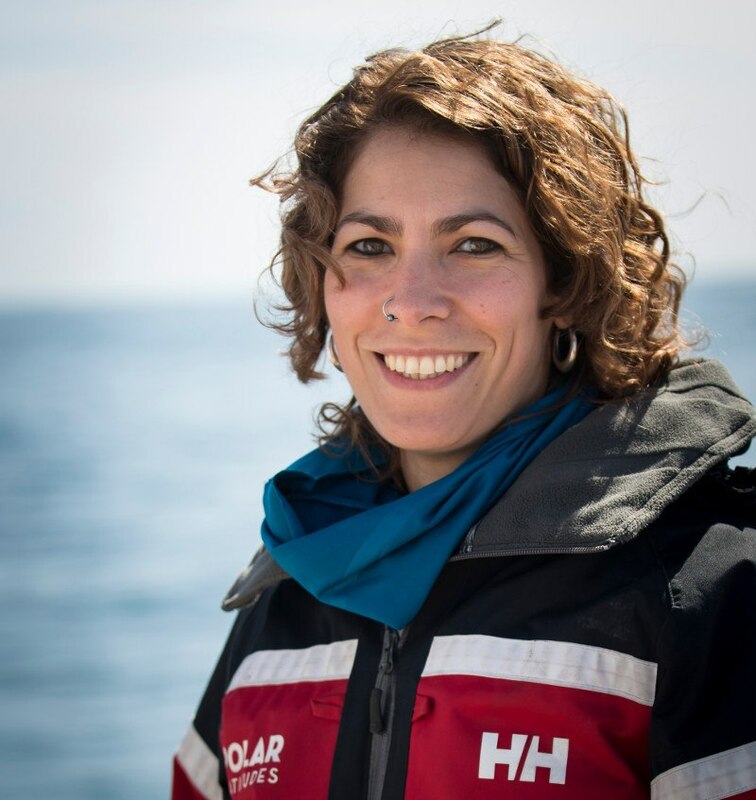 Here, she studied the habitat suitability of Antarctic whales and participated in several multi-week expeditions to the Southern Ocean on board the German research icebreaker RV Polarstern. 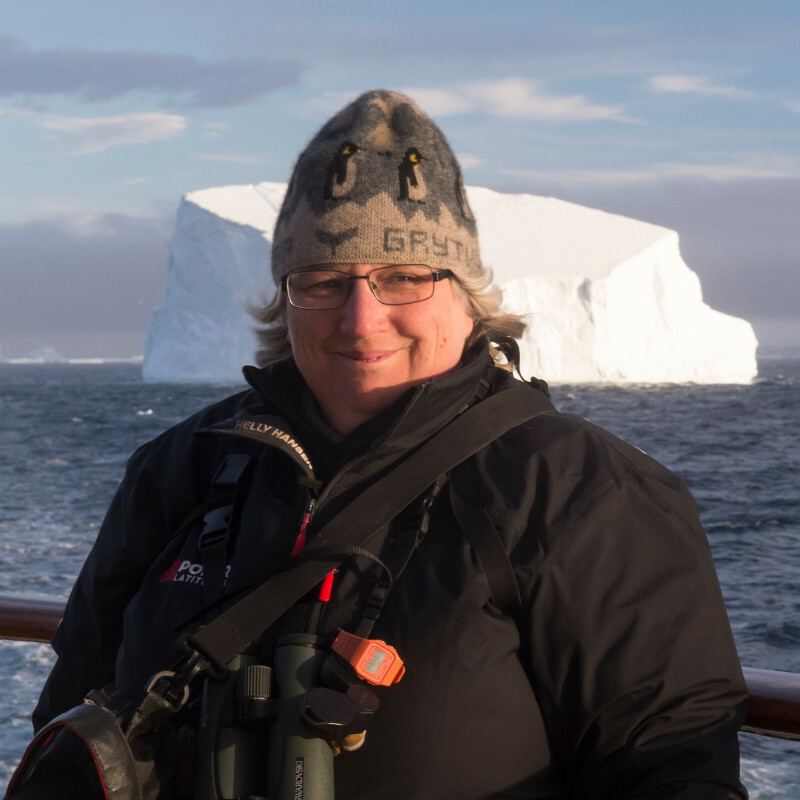 Annette has been working on various expedition cruises to Svalbard, Greenland, the North Pole, the Falklands, South Georgia and Antarctica. For Annette, visiting South Georgia is one of the very special moments in life, given its history of whaling and polar exploration. Annette speaks German and English and is looking forward to spending her Antarctic summer with you, sharing her passion for marine mammals day and night. While Jeff was at summer camp as a child, a jellyfish stung him and changed the course of his life. He realized just how mysterious the oceans were, and couldn’t wait to learn more. 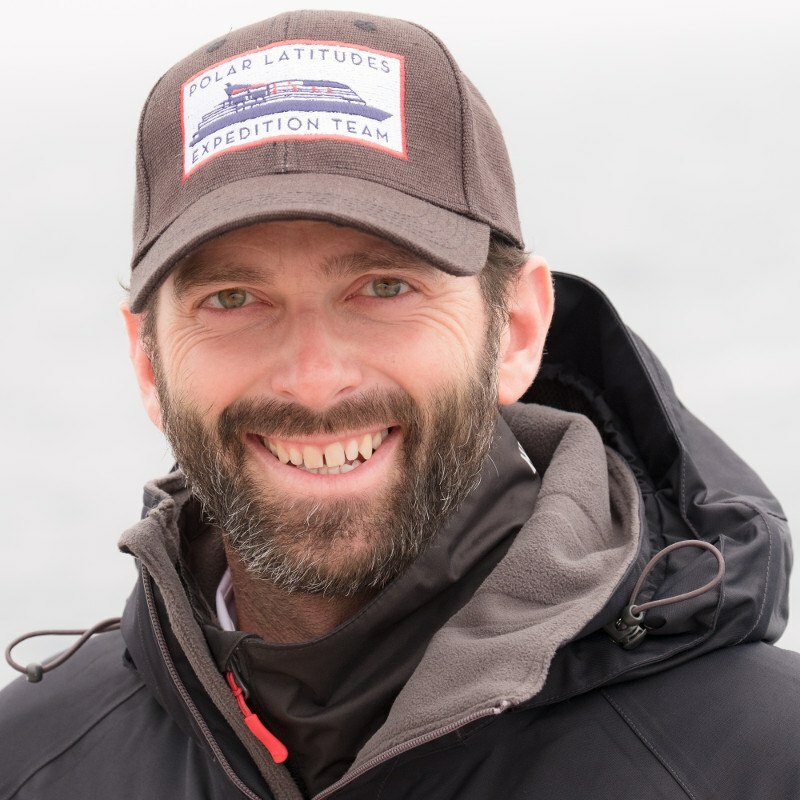 Now Jeff is a marine biologist and his extensive experience includes classifying the biodiversity of glass sponge reefs off Canada’s west coast using video footage with world expert Dr. Verena Tunnicliffe, conducting fish and marine mammal surveys, and helping to biologically classify Alaska’s entire shoreline. Jeff not only enjoys the hunt for a good whale sighting but also enjoys the small critters that make up the base of the food chain. They are especially important because they sustain the large marine mammals that visit Antarctica’s waters to feed each year. An avid sailor, scuba diver and photographer, Jeff has worked in and on the ocean since 2007 and, no matter what the temperature or weather brings, you’ll always see him smiling when he’s on or near the ocean with camera in hand. Jeff works on various expedition cruises exploring Canada’s rugged west coast and southeast Alaska. 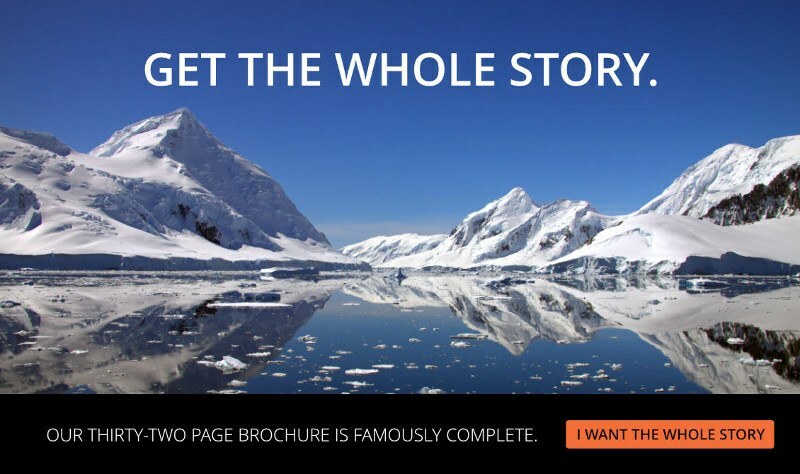 The Antarctic was a dream of his to explore since he first learned of the vastly unknown icy continent in elementary school from a National Geographic magazine. He is very excited to be able to share his knowledge and passion for the marine world with you! 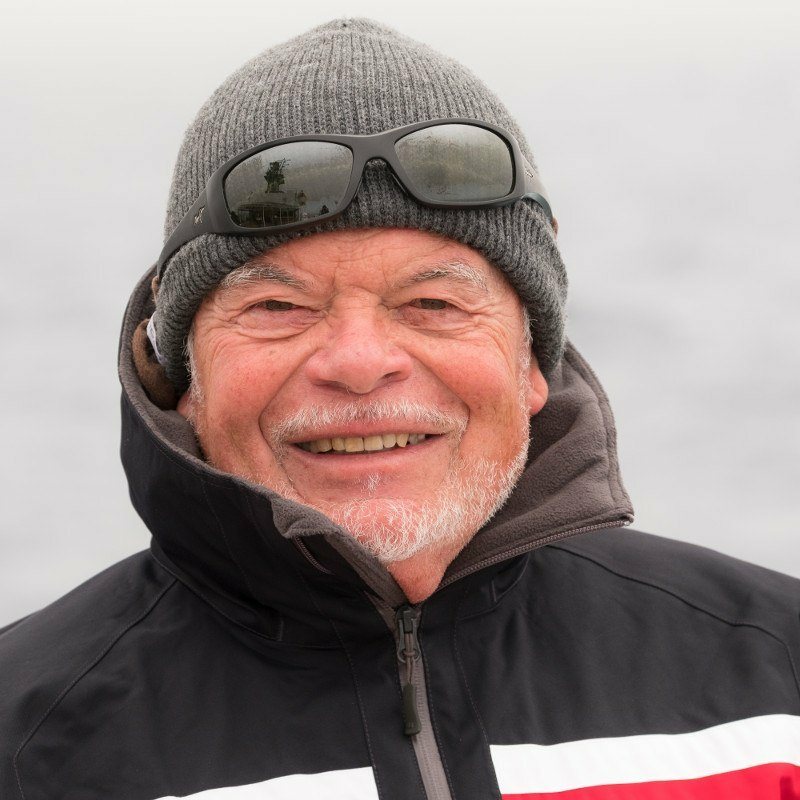 As a University-based educator, researcher and administrator for many decades, Jim has had the opportunity to work in and explore many of the high mountain areas and some of the polar regions of the Earth. 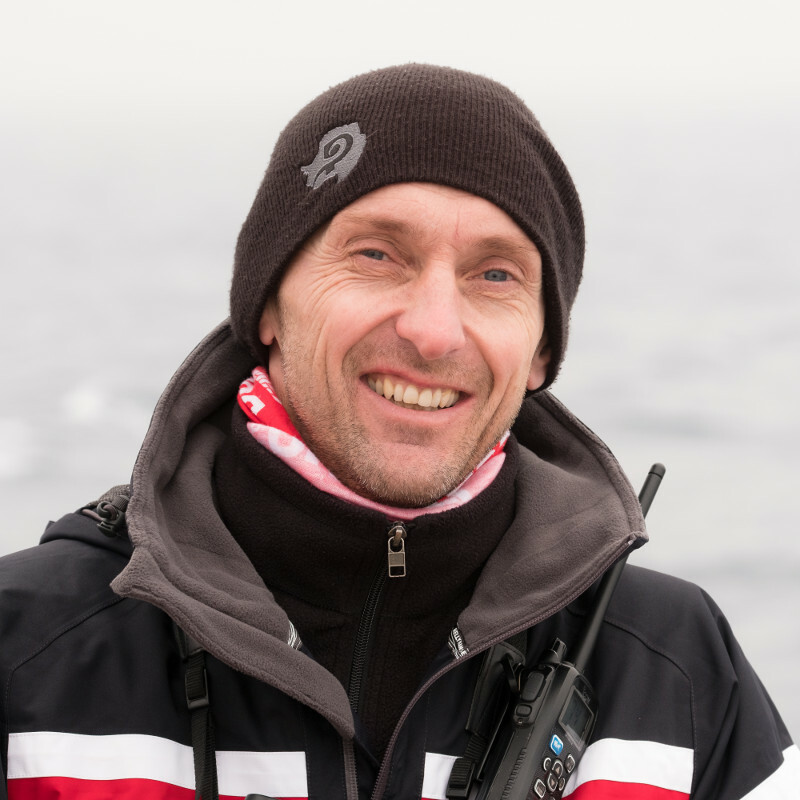 2018-19 is his fifth season in Antarctica and the Southern Ocean. His specialties include weather and climate, surface geology and landforms, glaciers and other forms of snow and ice, and natural hazards and disasters. 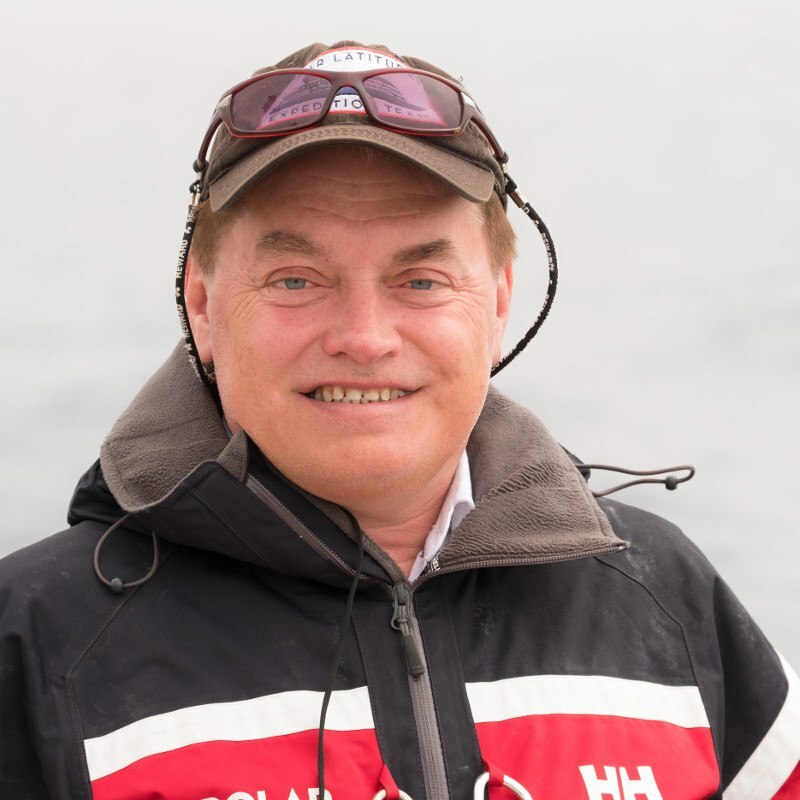 Now “retired” and living in Victoria, British Columbia, Jim continues to teach field courses in mountain and coastal environments, assist graduate students, and publish in the scientific media. 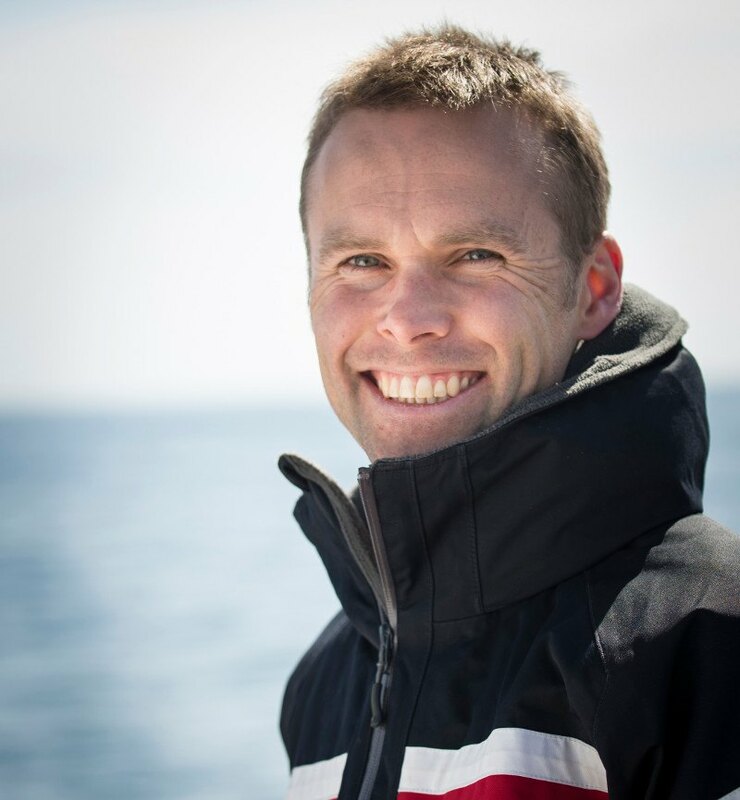 Being part of the PL Expedition Team has added a new dimension to his experience as an educator and scientist, and has enhanced other aspects of his life. Though his areas of speciality focus on inanimate objects and processes of the environment, life experience has taught him that their meaning and significance rests in the animate world, including that of people. This, he attempts to convey in his presentations and musings. Being a bit of a fossil age-wise, gives him a certain advantage in bringing those locked in the stone of the Antarctic to life. Though the past is important in understanding the present and future, his most memorable experiences all relate to the immediate sounds, devoid of engines, chatter and the click of cameras, coming from birds and other animals, calving glaciers, crunching ice floes, breaking waves and wind. Tracy is deeply passionate about learning, teaching, and educational travel. He believes that isolated, hostile, and largely uninhabited Antarctica is central to understanding how the world works and our impact upon it. A Professor of Environmental Science and Physical Geography at the State University of New York, College at Oneonta, Tracy’s research interests are focused on rivers, lakes, glaciers, geomorphology, and environmental change. His love for cold climates grew out of investigation and exploration in Arctic and mountain environments. He has spent summers working and teaching on the Bering Glacier in Alaska and has canoed thousands of miles on Arctic rivers. Synonymous with education, adventure travel is a means to achieve personal and professional growth. From an early age, Tracy would strike out from the Blue Ridge of Virginia to discover nature, mountains, and, eventually, other countries. Since then, he has backpacked throughout nearly all countries on Earth – from Mount Kilimanjaro in Tanzania to Mount Everest in Tibet and Nepal and from Machu Picchu in Peru to Pagan in Myanmar. At each location, he explores natural processes and human/environment relations. Tracy travels simply, with backpack, tent, and sleeping bag. When asked about his wanderlust, various intellectual motivations surface, but the deep-seated reality is that he has an adventurous spirit. Born in Sydney, Australia, Marty’s love of the ocean led him to a degree in Marine Science, extensive SCUBA qualifications, and a very hands-on job as Head Penguin Keeper at the Sydney Aquarium. While he did have some very unique experiences (try being a foster parent to penguin chicks!) seeing penguins in their natural environment is his ultimate thrill. He will never forget being greeted by a party of King Penguins at the largest colony in the world on the shores of South Georgia Island. As a marine biologist Marty’s passion for ocean animals extends beyond the polar regions having worked with a wide range of sharks, fish, reptiles, birds and mammals. Coming from Australia this also means he has worked directly with the most venomous snake, spider, octopus and fish on the planet. Marty practices free diving in an attempt to spend as long underwater in one breath as the penguins do. Daniel is a sea kayak and climbing guide from the Blue Mountains of Australia. He is drawn to the stark natural beauty of Antarctica; the extremes of cold and light, and the seemingly improbable abundance of life. The histories of discovery, exploration and science add a layer of human engagement that intrigue and inspire him. This love for engaging in landscapes both physical and human lead him from the Blue Mountains to a degree in History and Geography and a varied career guiding people through the wilderness. Working with travellers, school children, social services groups or simply people wishing to improve their skills, he has taught and guided by kayak, climbing and trekking, in remote Tasmania, on the islands of Scotland, and off the coast of mainland Australia and Antarctica. Whether it be discussions on how to get more from our kayaks, why clouds form and what they mean, or who your favorite Antarctic explorer was, Daniel looks forward to working with guests this Southern summer, and to introducing them to the joy of travel in Antarctica. Sophie’s background is in guiding and instructing around the world in remote outdoor locations. With her expertise in trip planning, logistics and navigation as well as risk management and group management across a range of pursuits, she is a well-rounded outdoor professional. She shares her passion with clients and students for beautiful wild places. Sophie has an interest in fitness and health and also anything relating to the outdoors. Whether it be navigation, maps or weather, kayaking and rock climbing, she is happy to share her knowledge and tell tales of endless adventures. As a young boy growing up in one of the “gateway’s to Antarctica”, the island of Tasmania, he was besotted by this far away magical land of ice. He had heard the stories, seen the photos and met those that had survived the “Big White.” And so it became that as a guide he needed to one day, somehow, get himself to the bottom of the earth. Ewan speaks English, Spanish, and some basic Japanese. Steve has been guiding tours and expeditions all over the British Columbian coast. He has led history, photography, and even a painting tour! His adventurous pursuit of work in the wild has allowed him to guide on the Barrier Reef cays and the whitewater rivers of Belize, as well as along New Zealand’s beautiful South Island coastline. In addition to guiding kayaking and zodiac tours in Antarctica, he also takes guests hiking to photograph the polar bears of Hudson Bay, in the Canadian arctic. Steve enjoys his spare time cruising on his sailboard, surfing, hiking and finding wildlife and landscapes to photograph. Always prepared to crack a smile, Steve will be looking forward to helping you explore the Antarctic and the Southern Ocean. In 2007, Ben was overall winner of the “Wildlife Photographer of the Year” competition and won the “Creative Visions of Nature” category. His work was recognized by the Royal Photographic Society in 2008 through the award of an Honorary Fellowship. With two zoology degrees, Ben initially worked as a scientist before switching to full-time photography. 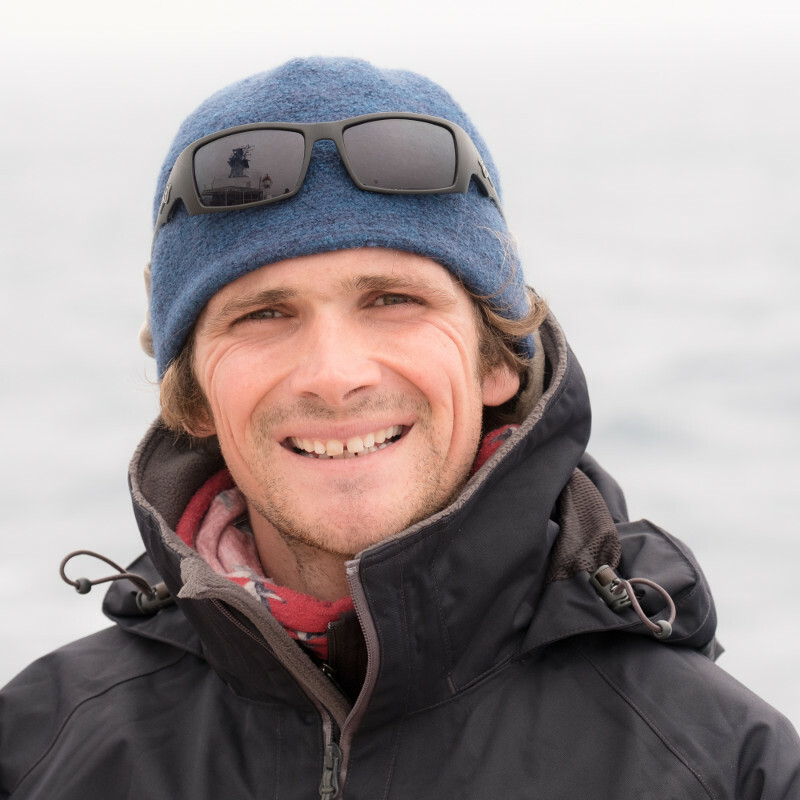 He spent 18 months working for the British Antarctic Survey on Bird Island (South Georgia) researching wandering albatrosses and monitoring major seabird and mammal populations. 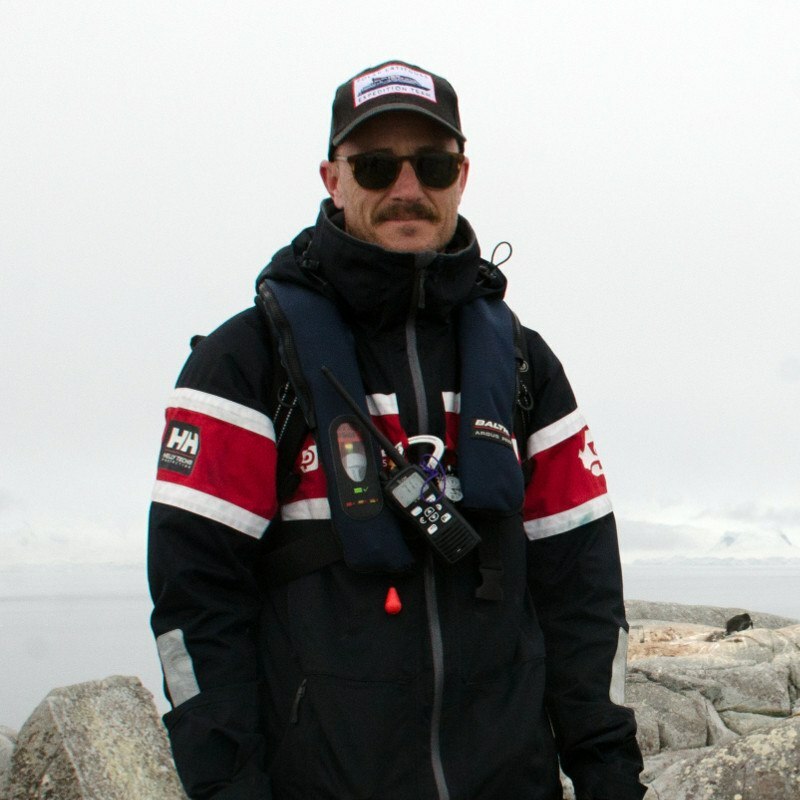 Two years later he spent 9 months on a yacht surveying wildlife on South Georgia and the Antarctic Peninsula. 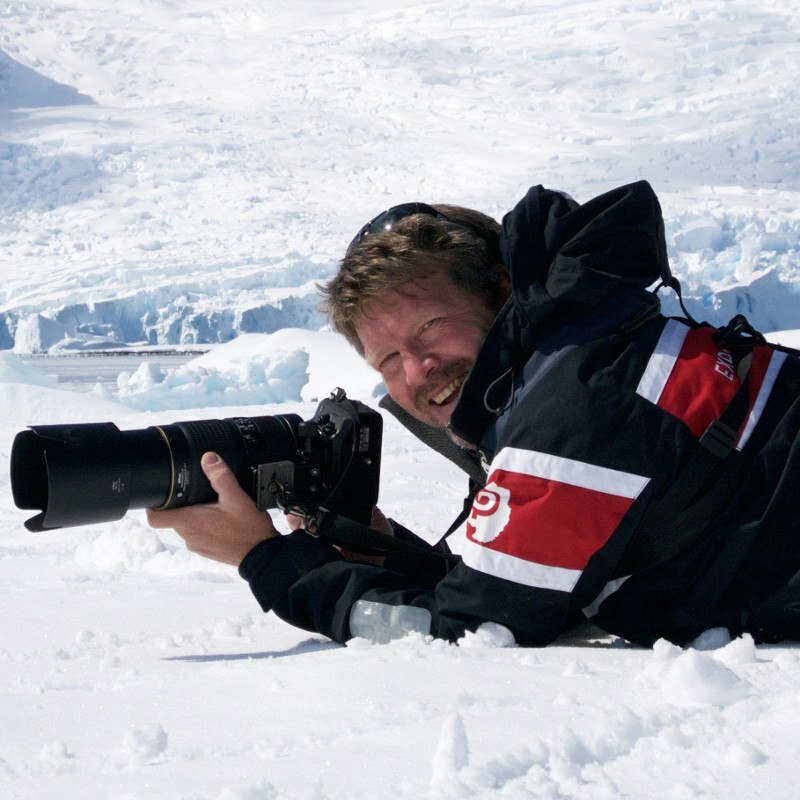 These experiences (and a career change) culminated with a 4-month commission from National Geographic magazine shooting images for a major feature about Antarctica. Following a chance conversation on a sacred mountain in China, Ben became involved in the ground-breaking BBC series about Antarctica, “Life in the Freezer”. He shot editorial stills for the series book and photographed the presenter Sir David Attenborough on location. Since then Ben has worked regularly with BBC film crews, shooting publicity and editorial stills for major wildlife series including “Blue Planet” and “Planet Earth”. 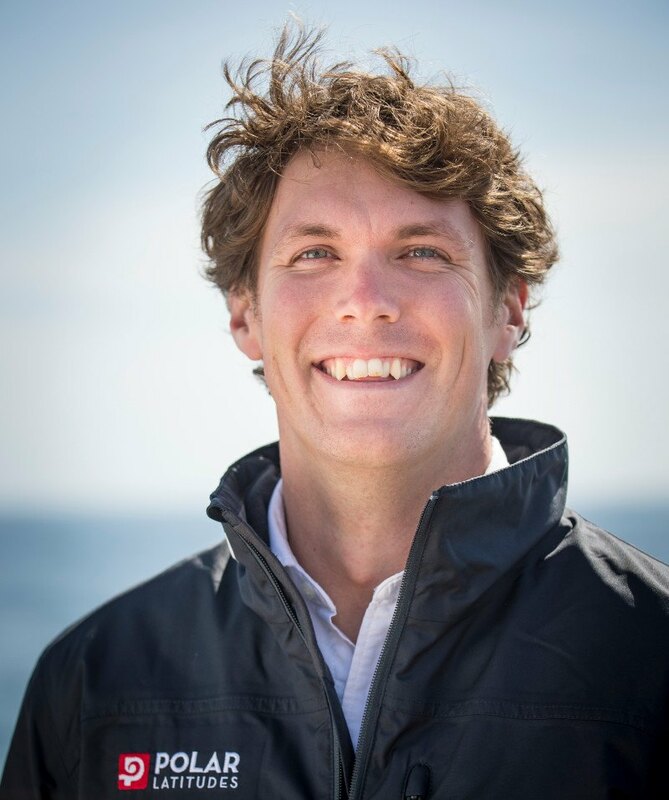 From his early years growing up on the edge of the Atlantic in rural Newfoundland, Philip has had a keen sense of adventure and a love of wild places. He studied Biology and Environmental Sciences before shifting gears to pursue a growing passion for mountaineering. For 10 years he worked as an instructor in mountain skills in the Vancouver Island Alps. Philip blends his love of the outdoors, adventure, and photography in his work instructing, guiding and collaborating with several adventure tourism businesses. 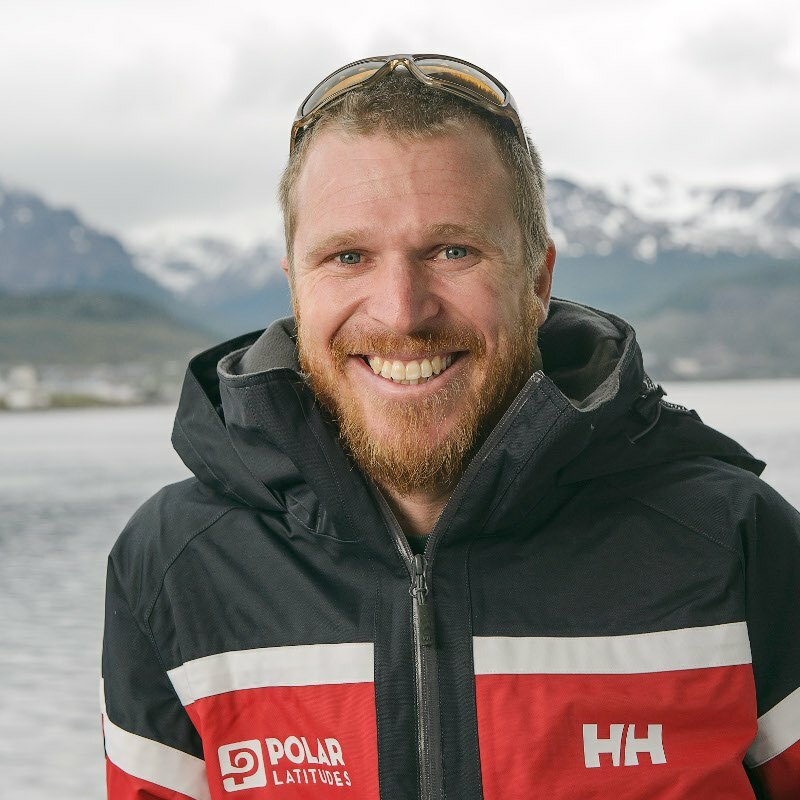 So it’s no surprise that Philip joins Polar Latitudes as one of our Expedition Photographers. Philip has a knack for explaining some of the more technical aspects of digital photography in plain terms and is always happy to share tricks and tips, or just talking camera-shop! When asked about his favorite thing about the Antarctic he says “it’s the light, there’s so much of it, and it’s so beautiful and clear”. Mathew became enamored with the world’s wild places from an early age. It was this love of out-of-the way places that led him to pick up a camera and share his experiences. Those early motives morphed into a love a photography itself, and a career in telling stories with light. Things have gone full circle, with photography calling Mathew back to the mountains where he started. When he’s not working on expeditions as a photography coach or shooting documentaries, Mathew works as a newspaper photographer, and in film and television. When he takes a break from cameras, he heads back to the wilderness anyway, climbing, surfing, fly fishing or mountain biking. A current graduate professor in photography, Will has been teaching and showing professionally for over 15 years. 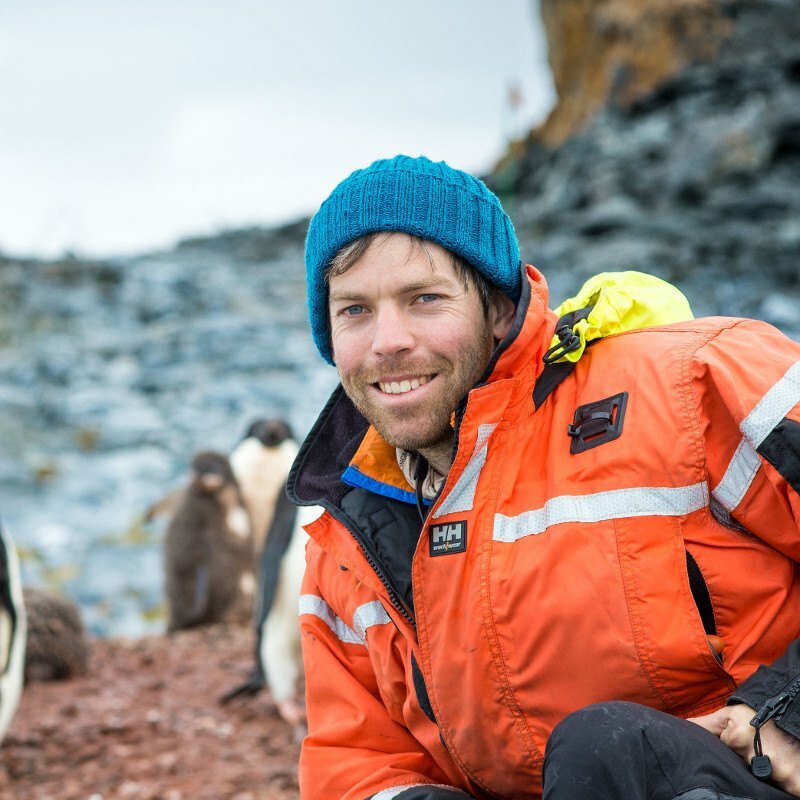 He is excited to bring his love of nature, adventure, and photography to Antarctica. His photography career has taken him to numerous places around the world including Hiroshima, Columbia, Taiwan, Paris and Antwerp. His work has been exhibited in museums and galleries internationally. He currently shows with galleries in San Francisco and Tokyo, and lives on a boat in the San Francisco Bay with his wife and two daughters. Will has walked slacklines over the Grand Canyon, trad climbed around the High Sierras, and backpacked extensively with his family around the Western US. Born in Sweden, he worked in the USA, Thailand and Japan with many different and unorthodox professions. He discovered a passion for travel, and dedicated himself to visiting the most exciting places on the planet before he retired. This led him to the Expedition Tourism business, which is now his full-time profession, while he freelances as a wildlife and travel writer. 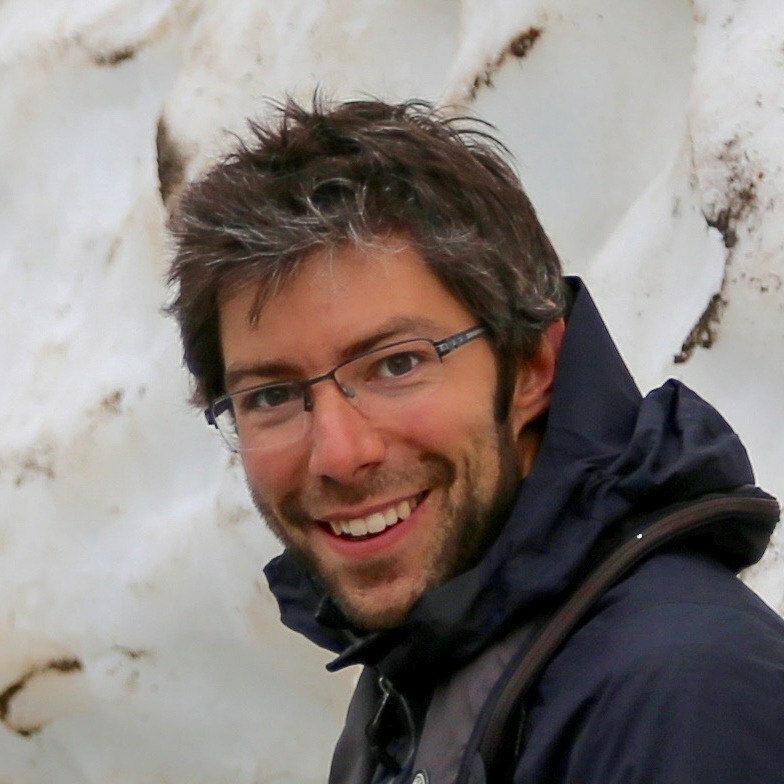 Adam is a wonderful lecturer on wildlife, photography and polar history and is a great source of many exciting stories about the places we visit. Tim is a Southern Ocean native from the port town of Hobart, Tasmania. As the base of the Australian Antarctic Division and departure point for some of the most well known Antarctic expeditions, Tim grew up wanting to experience the polar regions for himself. After his first season with Polar Latitudes, he knew he was hooked. Tim’s area of expertise is leading adventure travel groups into remote and challenging areas. He has been guiding expedition sea kayak trips both in his native country and overseas for more than 10 years. He has also worked extensively as an aquatics trainer and instructor with various educational intuitions and brings this passion into every group he takes on the water. A lover of all things to do with alpine environments and water Tim loves to be in these elements and share them with others. When not in the Antarctica, you’ll find Tim in the Sierra Nevada mountains where he teaches swift water rescue and Wilderness First Aid courses. During childhood, Randy learned how to play various instruments and how to conduct orchestras. At Brno University he studied engineering but quickly discovered music was the only thing he was interested in. As a One Man Band, Randy worked in German, Swiss and Austrian Spa Hotels & Alpine Ski resorts. During his off time, he developed a passion for skiing and became a certified ski instructor. Since 2006 Randy has been working aboard the finest European River Cruise vessels on Rhine, Main and Danube, entertaining his passengers with a wide repertoire of Jazz, Rock & Roll, Blues, Oldies and the Best of the Top Charts.